Most diet sodas contain sweeteners like aspartame that can have negative effects on the body. Here are five products that don't have aspartame for your choice. Aspartame is an artificial sweetener that is used in many diet sodas and other foods and beverages. Because it is about 200 times sweeter than sucrose or regular sugar, the small amounts needed to sweeten soda result in minimal calorie consumption; this makes aspartame popular for use in diet sodas and other low-calorie products. However, although aspartame has been approved by the Food and Drug Administration (FDA) for human use, the chemical compound of the sweetener and its effects on the body have raised serious concerns about its use over long periods of time or in large amounts on a daily basis. Among the side effects that have been linked to aspartame use are migraines, regular headaches, dizziness, diarrhea, mood swings, and memory loss. Fortunately, there are sodas available that do not contain aspartame for those who wish to cut calories without the risks associated with the artificial sweetener. These products use Splenda, an artificial sweetener that is derived from ordinary sugar, or stevia, which is an herb native to regions of North and South America. Stevia is naturally about 300 times sweeter than regular sugar, and because it does not affect blood glucose in the body, it works well for those that must regulate their carbohydrate intake. Stevia has essentially no calories per serving. Splenda contains minimal calories as compared to sugar; when used in sodas, the amount used to sweeten a serving is less than five calories, allowing the soda to be labeled by the FDA as a zero calorie product. 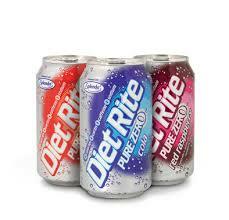 Diet Rite is one of the most well known and widely available diet sodas that do not contain aspartame. It is produced by the company that makes Dr. Pepper and Snapple products, and has been in production since 1958. Splenda is used to sweeten the beverages in this line of products, and they contain no caffeine, carbohydrates, or calories. Diet Rite comes in a variety of flavors, including a regular cola flavor, cherry and black cherry, red raspberry, white grape, and tangerine. 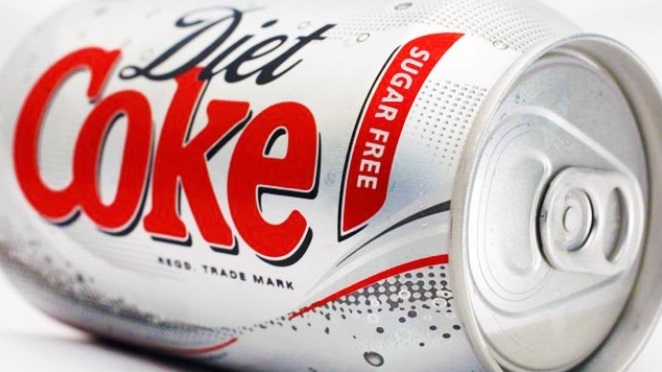 Alongside its other diet and zero calorie products, the Coca Cola Company began manufacturing a version of diet Coke that contains Splenda rather than aspartame in 2005. It comes only in the regular cola flavor, and those who want to buy the product must look for the information identifying the product as such on the label since diet Coke containing aspartame is still being marketed. Diet Coke with Splenda contains no calories. 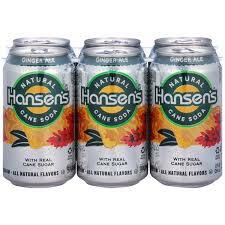 Hansen's line of carbohydrate free sodas uses Splenda or stevia to sweeten them, another diet soda without aspartame. In production since the late 1970s, there is a large lineup of diet sodas in assorted flavors in the line. A regular diet cola flavor is available, as well as black cherry and cherry vanilla crème, a creamy root beer flavor, ginger ale, tangerine, kiwi-strawberry, and pomegranate. Although most of the diet beverages manufactured by Pepsi contain aspartame, the company has produced a product that uses Splenda as a sweetener. 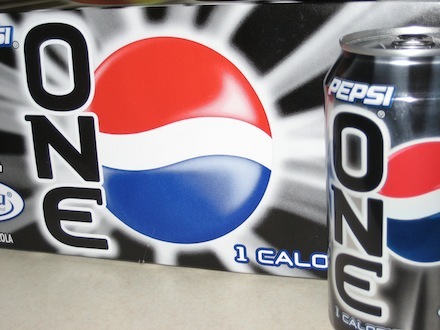 The soda, Pepsi One, contains one calorie per serving, hence the name. Pepsi has been selling Pepsi One since 1998. In addition to the aspartame free soda, PepsiCo manufacturers sports beverages, teas, and other soft drinks sweetened by Splenda. A lesser-known product line, Zevia produces diet sodas that are sweetened with stevia. The sodas contain no calories, and they are available in assorted flavors. Traditional cola flavor is available, as are ginger ale, a ginger root beer flavor, orange, lemon-lime, and black cherry. 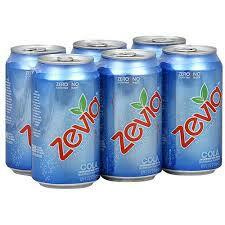 Zevia products began being manufactured in 2007, but didn't receive approval as a soda by the FDA until 2009. With or without aspartame, diet sodas are not the best option for those looking to become healthier or to lose weight. Many dieters believe the false assumption that by consuming several diet sodas a day, they will be able to enjoy the taste of soda without all of the sugar and calories contained in regular sodas, and that they are choosing a healthier option. While the calories contained in diet sodas are minimal, there are several reasons why water or other beverages should be consumed instead. One reason why diet sodas should not be consumed frequently is because they can actually feed a sugar addiction and make your body crave sugar. Aspartame, in particular, tricks your brain into thinking that you are consuming sugar, even though the product is artificial. Just as consuming large quantities of real sugar will do, the ingredients in diet colas will increase your craving for sugar, tempting you into consuming other sugar-laden treats. Diet sodas do not directly cause dehydration. However, if you consume a diet cola whenever you are thirsty, then your body may not be getting enough water. If you drink water during a workout, but then drink a diet cola after your workout, you are not properly replenishing the fluids lost during your workout. Water consumption is essential for your health, and substituting soda for water can have negative effects on your body. If your diet soda contains caffeine, then you are not only increasing the risk of becoming addicted to caffeine, resulting in headaches and other symptoms when your body does not get it, but you are also contributing to dehydration. Caffeine is a diuretic, which causes you to urinate more frequently to eliminate fluids. Caffeine can also cause your heart rate to increase and can contribute to insomnia. Unfortunately, diet soda has been linked to weight gain, negating the very reason that most people consume it. This occurs for several reasons, but the two most common reasons for weight gain in diet cola drinkers is the sugar craving already mentioned and the tendency for diet soda drinkers to consume more calories due to the calories they're not consuming when drinking diet soda. Because they are drinking diet soda, some people will convince themselves that having a calorie-laden treat or fatty food won't be so bad, since they're not getting calories from their beverages. Hope you now know all about diet soda without aspartame and all other necessary info.